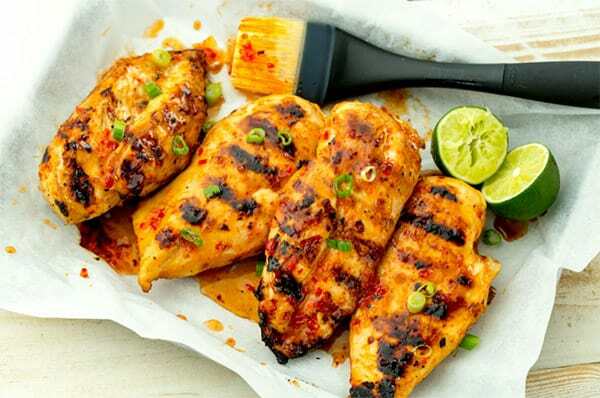 This orange chicken recipe is brushed with herbs, sprinkled with herbs, and then grilled until lightly charred. Freshly grated orange zest gives a nice, tender, and perfectly aromatized flavour you wish to see in a classic grilled chicken recipe. Serve with some fresh vegetables or your favourite salad. Place chicken in shallow oven proof pan. Mix herbs with mustard and orange juice and spoon over chicken. Grill under hot griller until golden brown, turn chicken over and grill till cooked through. Serve with salad or vegetables.